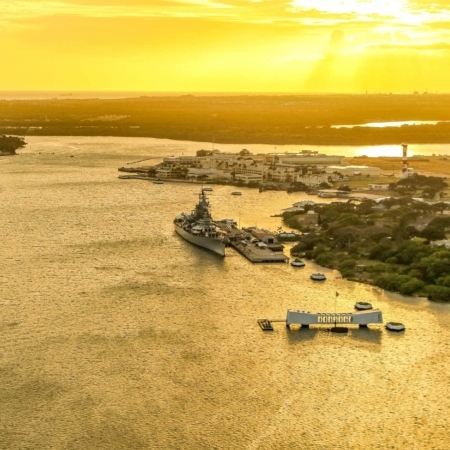 Pearl Harbor is Hawaii’s number one visitor destination with over 1.8 million visitors a year. At the focal point is the USS Arizona Memorial with the Battleship Missouri, USS Bowfin & the Pacific Aviation Museum nearby. Each of our Pearl Harbor Tours listed below includes a fast-track ticket to view a 23-minute documentary film, and then board a 145 passenger U.S. Navy-operated boat for an unforgettable solemn visit to the Memorial. Choose a Pearl Harbor tour from any of the 4 Hawaiian Islands that fits your schedule and interest. Our small group guided tours are 12 guests or less per guide (10 on our inter-island tours). This is our most popular tour (so book early). Visit the Arizona Memorial and the USS Missouri Battleship, as they represent both the beginning and the end of World War II. See Honolulu City & other historic sites too! A full-day tour that includes: the USS Arizona Memorial, USS Bowfin Submarine, USS Missouri and the Pacific Aviation Museum. See relics and learn how the US entered into and ended World War 2 in the Pacific. Learn about Hawai’i and it’s place in World War II history. A complete 120-mile full island tour of Oahu with plenty of photo opportunities and stops at overlooks along the way. Our first stop on this Circle Island experience is Valor In The Pacific WW2 Monument. A combined 4 million visitors a year will visit 3 of the most popular attractions in Hawaii; Historic Pacific Parks, the Polynesian Cultural Center and the Dole Plantation. A private 8-9 hour tour that is personalized for your party. Choose a Jeep (4 guests), Van (7 guests) or Mercedes Sprinter (14 guests). We can pick up from airport, Waikiki hotels or AirBnB. Lots of great add-on stops available. 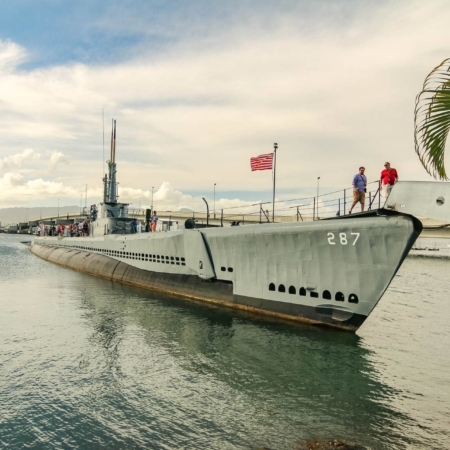 Spend a full-day at Pearl Harbor: USS Bowfin Submarine, USS Missouri and the Pacific Aviation Museum (Arizona Memorial tickets not included). Explore the museums at your own pace. Pick up your tickets right at the Pearl Harbor Visitor Center. Fly to Pearl Harbor for the day from Maui, Kauai or Big Island Of Hawaii. 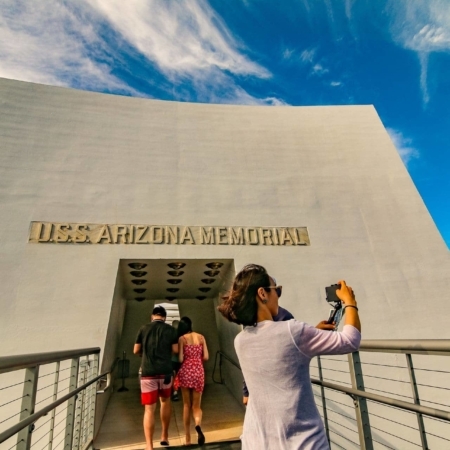 Experience the top sites at Pearl Harbor, Arizona & Missouri Memorials. See where World War 2 for the USA began & ended. Our Fly-Drive option is a do-it-yourself way to see Pearl Harbor. We meet you with your entry ticket, so lines & missed times are avoided. You will have about 6 hours to explore the island afterwards. Explore Oahu island on day trip from Maui, Kauai or Big Island of Hawaii. See the top sites on Oahu including Pearl Harbor, Dole Plantation, North Shore, Valley of Temples, Historic Honolulu and so much more. 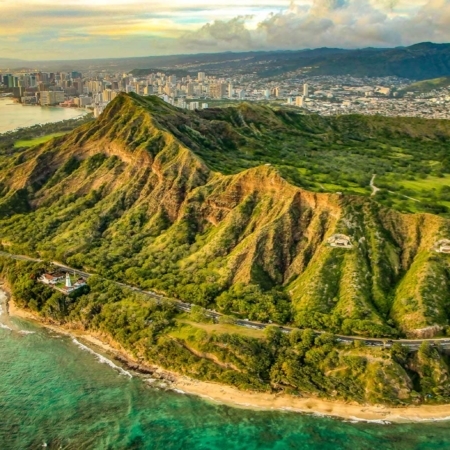 Take a 45-minute helicopter ride over Oahu to see all the beautiful sites you should visit. This tour includes inter-island flights and a rental car so you can explore on your own schedule. See the top attractions on Oahu from Kauai, Big Island or Maui on a day trip. Fly to Honolulu for an incredible experience of the Historic Pacific Parks, the Polynesian Cultural Center, North Shore and the Dole Plantation. A truly memorable day. Save Big on Group Tours to Hawaii. Whether you’re a group of 4 or 400+, we can pick you up from your Hotel, Airport or Cruise Ship. We specialize in personalized group Pearl Harbor tours. We can handle all your needs for schools, bands, corporate retreats, team building excursions and so much more. Call us to find out more. We can pick up almost anywhere when you choose an Oahu private tour. Places we can pickup during private tours include: the airport, cruise port, vacation rentals, Ko Olina, Turtle Bay Resort or just about anywhere else on Oahu. 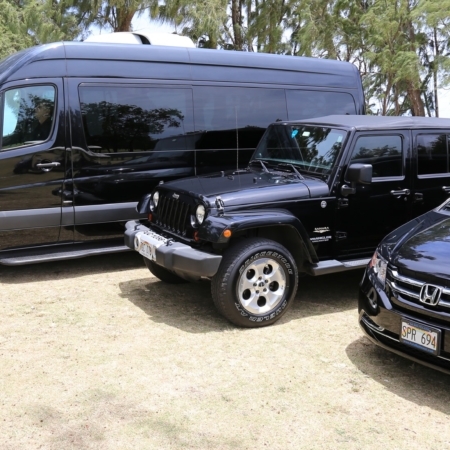 We can accommodate any size group in our Jeeps, Vans, Mercedes Sprinters, Mini Coaches or Motor Coaches. Each year the Historic Pacific Parks in Honolulu attracts tourists from all over the world. The cost of Pearl Harbor tour tickets depends on which sites you want to see. The Visitor Center Museum hours, USS Arizona Memorial and Ford Island museum hours are from 7:00 am to 5:00 pm every day, excluding major holidays. Due to the increasing confusion with the price, features and availability of park tickets use an Oahu private guide to handle your experience. Our tours are carefully scheduled to ensure that you get the most for your money, as opposed to simply being shown around. With each of our private tours comes an experienced and engaging guide who will give you considerable insight into tragic events that surrounded the Japanese attack. We (the founders) have a serious passion for history and the tragic events of the Pacific Theater in WWII. When we visited the memorial to the Japanese attack for the first time we were left awestruck, and dumbfounded, by the extent of the events that happened on that tragic day. Feeling as if we were left with few avenues for creating some sort of closure to this atrocity, we decided to take action. Visiting the World War II Valor In the Pacific National Monument allowed us to deeply connect with and relate to, those who defended and/or died attempting to ensure the safety of their comrades and country. It was then that we knew we needed to do something to inspire world peace, instead of world war. We believe inspiring peace through education is the quickest way to achieve it. We realized that offering the most informative tours of Pearl Harbor and the surrounding areas was one of the best ways to spread awareness of this horrific attack. That single event, which occurred on our tiny island in the middle of the Pacific more than 75 years ago, that shocked the entire world and forever changed it’s destiny. Each Pearl Harbor tour that we do helps raise awareness, compassion for those who died, and leaves visitors with a different perspective on today’s global conflicts and how one incident can change the destiny of the entire planet. We hope you will join us and be inspired to spread a message of peace, through the pictures you show and the stories you tell when you get back home to all who would look and listen. No tour of Hawai’i is complete without a visit to the most iconic National Monument in the United States. Visitors will instantly recognize, due to the stark white structure over it, the remains of the sunken battleship Arizona. Various other sites are available to explore on nearby Ford Island. The USS Missouri, the USS Bowfin Submarine and the Pacific Aviation Museums are a few of those sites. Each tour can include other beautiful stops, outlooks found throughout the island of Oahu and views of Honoluluʻs historical sites. 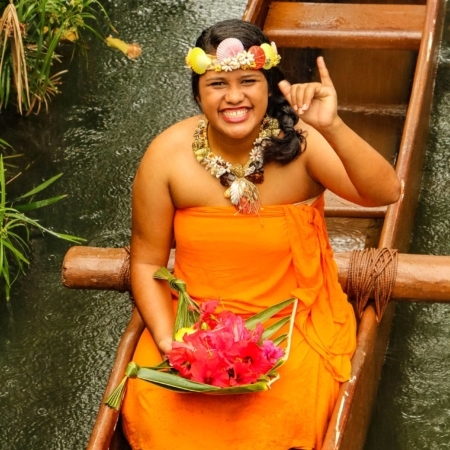 If you have a specific interest in one of the following sites, check to make sure you book one of our tours going to that particular site (Polynesian Cultural Center, Dole Plantation or North Shore Oahu). Because the most popular destination for any tour on Oahu is unquestionably Pearl Harbor, we have many packages which visit this heritage site. Book with confidence knowing we will match or beat the price of any identical tour on any of the Hawaiian Islands. If your plans change, let us know 48 hours in advance of the scheduled activity and we can change a tour starting on Oahu (not incl. flights) at no charge to you. Many people simply want to see the USS Arizona as part of their tour. However, no Hawai’i tour is complete without visiting the museums and surrounding sites throughout Oahu. As a result, when you communicate with our Customer Service agents, we will discuss all of the potential sites that your tour group can visit. Since we offer many Hawai’i tours with experienced, local guides, each tour will be an experience to remember forever. How Long is the Pearl Harbor Tour? Each of our Oahu tours has a different timeline of events, depending on how much time you have to spend at the sites. Since we offer tours from Waikiki and all nearby major Hawaiian islands, the exact amount of time you’ll spend on tour will depend on your personal circumstances. Typically, tour groups will spend 4 – 6 hours going to various stops throughout a full tour day. Do You Accommodate Large Groups? Although tours are more personal with smaller groups, there isn’t a group too large for our team to accommodate. Whether you have 1 person or 100s of people, we will work with you to provide the best tour of our island home that is suited to your group’s interests, time frame and budget. Can I Get a Refund if I Cancel My Tour? Please check our refund and cancellation policy for details. We will provide a refund based on the timing and the tour you have booked. Do you Offer Tours from the Nearby Hawaiian Islands? Yes we do! 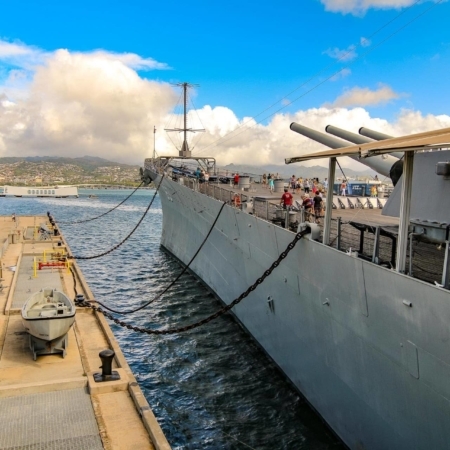 Although we do most of our tours from here on Oahu, many visitors from other nearby Hawaiian islands are also looking to experience Pearl Harbor. Because getting around Hawai’i can be difficult on your own, we are glad to assist you with all your travel plans. See the options for tours from Maui, Kauai or Big Island Of Hawaii. Be sure to let us know which island you will be coming from when you book a tour so that we can take care of all of the arrangements for you and make your trip a more relaxing experience. Can tours start from a vacation rental or the airport? Yes, but only when you book our private tour option. The vehicle you will have depends on your tour group’s size. We currently offer a Jeep (max 4 guests), Van (7 guests), Mercedes Sprinters (14 guests) or Mini Coach (12 to 25 guests), however, we can accommodate any size group. Our vehicles also have room to take your luggage – in case you prefer to spend either your first, or last, day touring and then be dropped off either at the Airport for your flight out, or at your accommodations after touring. Many of our customers have remarked that they feel the best way is to be picked up and taken on tour directly from the airport to get a great overview of the island on their very first day here in Hawai’i. Doing a tour immediately upon arrival helps you get the most out of your vacation time! Is There A Best Day to Go to Pearl Harbor? Monday – Thursday are typically the best days. What Is Pearl Harbor’s Address? Walking is somewhat minimal, but recommend wearing comfortable footwear. Do You Provide A Ride to the Airport After My Tour? Yes, absolutely! Every tour from the outer islands ends up at the Honolulu Airport. If you need a ride to the airport after your trip, please indicate in the comments section when you purchase your tour online. Is Pearl Harbor Open On Holidays? 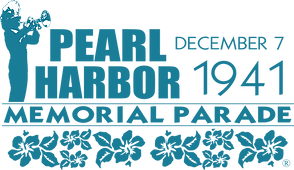 Pearl Harbor closes for Thanksgiving, Christmas Day, and New Year’s Day. We offer an experience that you will both learn from and remember the rest of your life. When you visit a site that shook the history of the world, a common feeling that you will get is a sense of awe and wonder. 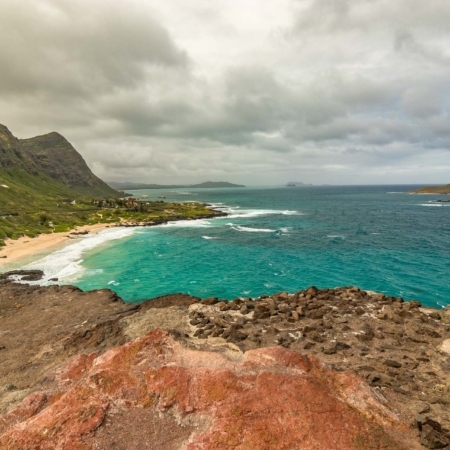 Instead of assuming that you will be able to point out all of the noteworthy sites or hoping that the history major with you can tour you around, it’s important to remember that tours of Oahu require a trained eye for the best experience possible. Although each tour that we book will take you to see the famous sunken memorial, no day tour is complete without experiencing a few of the other local sites. 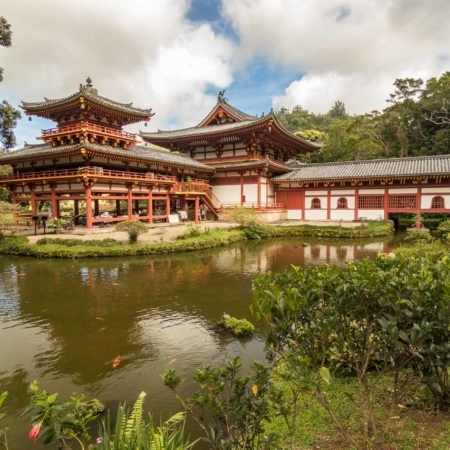 In addition to giving you insight regarding the other sites at the National Monument, our expert guides also show you the popular Polynesian Cultural Center, the tasty Dole Plantation and numerous other sites along Oahu’s North Shore. We also offer day tours from the Hawaiian Islands of Maui, Hawaii (Big Island) & Kauai so you can have a complete Hawaiian vacation no matter where you stay. After the surprise attack on the Pacific Fleet at Oahu, the United States went from sitting on the sidelines of the war brewing in much of the rest of the world to holding a seat of influence in the Allied war room. There are many theories regarding what the U.S. government and President Roosevelt knew about the imminent attack on the Pacific Fleet by forces launched from Japanese aircraft carriers. What is known is that they did not prevent the destruction of the West Virginia, Oklahoma or the other vessels along battleship row. I feel all we have done is to awaken a sleeping giant and fill him with terrible resolve. The success of our surprise attack on Pearl Harbor will prove to be the Waterloo of the war to follow. For this reason, the Imperial Navy is massing the cream of its strength in ships and planes to assure success. Each tour that we finish, we are blown away by the positive feedback of our clients. Here are some of the comments that previous clients have made following one of our tours. I am so glad that I chose to do a Pearl Harbor tour. I learned so much! I highly recommend this company to everyone. THIS is how you run a tour guide business. After spending hours searching for a great tour of Oahu, this was the company that I chose. They were happy to beat the price of another company who had a very similar tour package. Not to mention, our tour around Pearl Harbor was everything I imagined and more. We normally choose not to do tours since it can be sometimes easier just to handle things on our own. With only having a day on the island and plenty on our bucket list to check off they made sure we saw everything we wanted and more! A great way to see the island. Our 3-star hotel options offer spacious rooms, pleasing decor, excellent amenities, personalized services, and all the comforts of home. Most hotels feature a fitness room, business center, laundry service, swimming pool and whirlpool spa, refrigerators, kitchenettes and in-room WiFi. Our 4-star hotel options offer larger and more comfortable rooms with a variety of superior amenities. Enjoy the upscale decor, a knowledgeable concierge at your service, and excellent cuisine including locally inspired dishes. Most hotels feature a fitness room, business center, laundry service, swimming pool and whirlpool spa, refrigerators, private lanais, kitchenettes and in-room WiFi. Want an authentic cultural experience of Pacific island peoples? Then don’t miss the Polynesian Cultural Center. There you’ll find six distinct island villages representing the cultures that first migrated to Hawai’i, creating the unique blend of cultures we see in Hawai’i today. 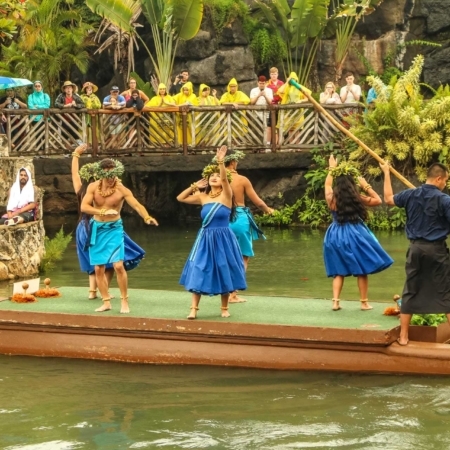 The world renown “Parade of Canoes”, multiple theaters, museums, live shows and an award winning luau or buffet dinner make this one of Hawaii’s most popular attractions! Come and see for yourself how “Aloha” came to be. Submarine warfare during WWII became one of the single most effective and successful ways of attacking military and shipping targets throughout the Pacific theater of war. At Pearl Harbor you can step back in time by boarding the USS Bowfin, a fleet attack submarine that helped make the “Silent Service” famous. It was launched exactly one year after the attack and was nicknamed the “Pearl Harbor Avenger”. Ancient Hawai’i comes alive at Waimea Valley, on Oahu’s north shore. It’s an amazing place where Hawaiians lived and thrived for nearly 1000 years! The valley was so beautiful that it was awarded to the Kahuna Nui (High Priests) in 1092 A.D. Spanning from Waimea Bay to the beautiful waterfall at the back of the river valley, this lush park has treasures… authentic Hawaiian plants, botanical gardens, hale (Hawaiian thatched dwellings), heiau (religious temples) and an easily accessed 30’ waterfall you can swim right up to – if you dare! Lifeguards are on duty and lifejackets are available. Get up close and personal with some of the most iconic aircraft of WW2. See them in the historic hangars that were attacked in 1941 on Ford Island. Watch a movie, browse the exhibits, fly the simulators and get up-close to some incredible airplanes, jets, helicopters and more. Visit the Mighty Mo, AKA: The USS Missouri battleship that Japan surrendered on in 1945, ending World War 2. 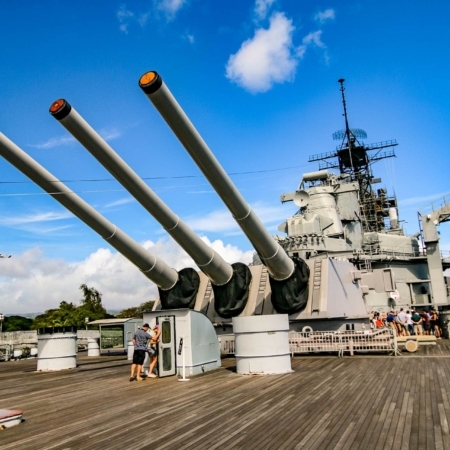 The USS Missouri Battleship Museum is open for exploration on and below decks, where you can get lost in its seemingly infinite maze of rooms and galleries. Moored along Battleship Row and part of the Valor In The Pacific World War 2 National Memorial, Mighty Mo’s size will astound and its history will enchant.